this was a hard shot for me to get. the camera did NOT want to focus on the cup. 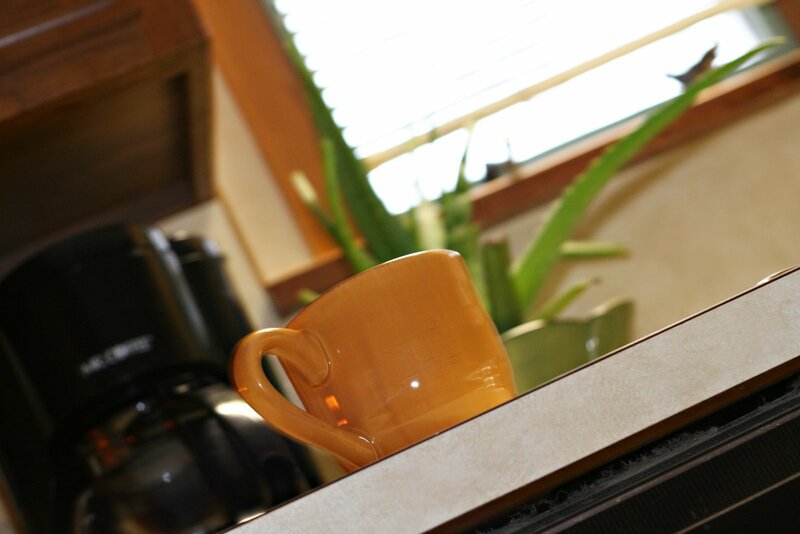 don’t know if its the color of the cup or the edge of the counter getting in the way…hmmm….any ideas out there? >I love every day shots like this 🙂 Great crop! >I like the angle to this one.